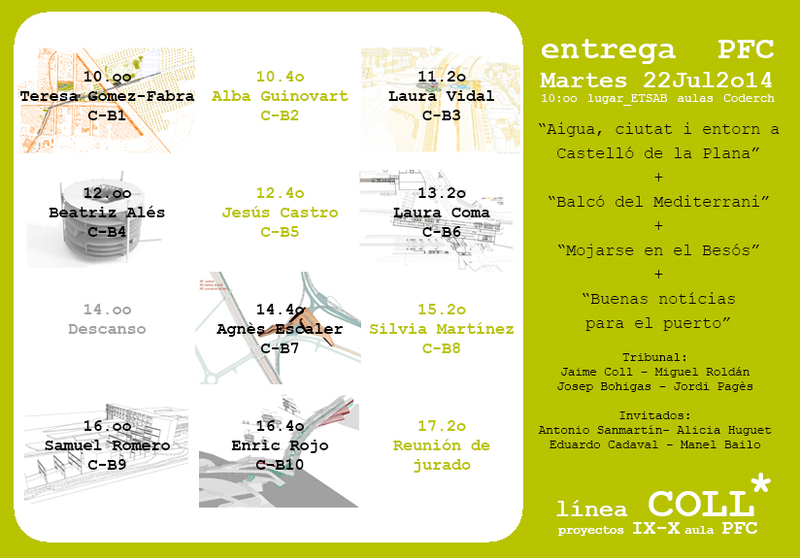 Miguel Roldán, jury of the final projects presentations at the ETSAB, today July 22, 2014. Miguel Roldán, will be one of the speakers at the discussion panel of “Montcada Besós; from the backyard to the front line” at the “INTERACTIVE GEOGRAPHIES” exhibition opening tomorrow, Tuesday, July 22 at 19:00 at MNAC Sala Oval. INTERACTIVE GEOGRAPHIES is the title of the exhibition that reflects on metropolitan territory based on projects of the final year architecture students of ESARQ-UIC.